This is not a film review, rather it’s a recommendation that you see the movie the title of which is above. Netflix has it. 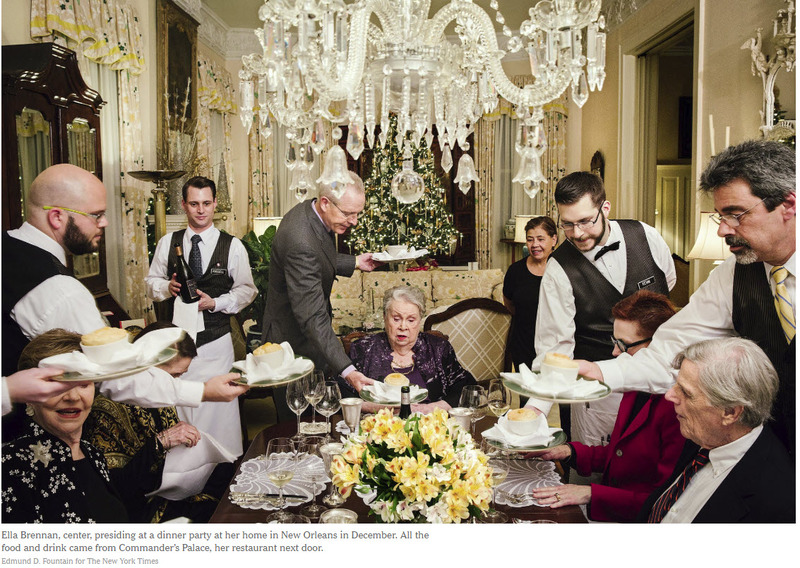 The movie tells the story of Ella Brennan who has been the Doyenne of New Orleans restaurateurs for more than 60 years. She first made Brennan’s into a eating powerhouse. She lost control of the place after the death of her brother Owen and an ensuing family squabble. She then turned to the decrepit Commander’s Palace and turned it into one of the best restaurants in the world. Today at 92 she lives in a mansion next door to the eatery. For about an hour and a half you will will see and hear her story splendidly portrayed in vivid detail. Then you call your travel agent and book a flight to New Orleans after making a reservation at the CP. Five stars and a reason to subscribe to Netflix if your not among the 100+ million who already do.